Turn the car on so that the engine can be warmed up before checking the fluid level. Locate the transmission fluid dipstick. Own a front-wheel drive car? You will probably find it to the right of the oil dipstick. If you are unable to find it, your owner’s manual should be able to assist you. Remove the dipstick and inspect the consistency of the fluid. The fluid should be almost clear with a pink tint. If you see that it has been contaminated with a lot of dirt and debris, or it has a burning smell, it’s time for a replacement. Use a rag to wipe off the dipstick. Then insert it back into the vehicle. Pull it out again to check the level. Add more transmission fluid if the level is under the “FULL” line. Use a funnel to add more fluid, but avoid adding too much. 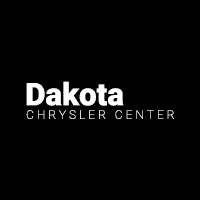 If you run into any issues, feel free to check with Dakota Chrysler Center, providing service to customers from Breckenridge and beyond. You should check the main fluid levels of your car monthly. That includes checking your transmission fluid, power steering fluid, and engine oil. As always, you can consult your owner’s manual for a more specific maintenance schedule. Not all transmission fluid is the same. The type can vary by the model you have or by transmission type. Check your owner’s manual to see what is recommended. Checking the fluid on a manual transmission will usually require a jack to access a plug located beneath the car. This can be a little more challenging, so you may want to leave it to the professionals at Dakota Chrysler Center. If your transmission fluid is low, your vehicle may hesitate when shifting gears. If your fluid level is not the culprit, this could be a sign of a more serious issue. You’ll want to replace your transmission fluid every 50,000 to 100,000 miles. The frequency of this service can fluctuate based on your driving habits, type of transmission, and other factors. Look for the recommended service intervals in your owner’s manual. If you have any questions about vehicle service or maintenance, don’t hesitate to ask. Our knowledgeable and highly-skilled technicians would be delighted to help. Contact our service center or stop by our showroom near West Fargo.